Lev Manovich - What is Digital Cinema? Thus far, most discussions of cinema in the digital age have focused on the possibilities of interactive narrative. It is not hard to understand why: since the majority of viewers and critics equate cinema with storytelling, digital media is understood as something which will let cinema tell its stories in a new way. Yet as exciting as the ideas of a viewer participating in a story, choosing different paths through the narrative space and interacting with characters may be, they only address one aspect of cinema which is neither unique nor, as many will argue, essential to it: narrative. The challenge which digital media poses to cinema extends far beyond the issue of narrative. Digital media redefines the very identity of cinema. In a symposium which took place in Hollywood in the Spring of 1996, one of the participants provocatively referred to movies as "flatties" and to human actors as "organics" and "soft fuzzies." As these terms accurately suggest, what used to be cinema's defining characteristics have become just the default options, with many others available. When one can "enter" a virtual three-dimensional space, to view flat images projected on the screen is hardly the only option. When, given enough time and money, almost everything can be simulated in a computer, to film physical reality is just one possibility. But what happens to cinema's indexical identity if it is now possible to generate photorealistic scenes entirely in a computer using 3-D computer animation; to modify individual frames or whole scenes with the help a digital paint program; to cut, bend, stretch and stitch digitized film images into something which has perfect photographic credibility, although it was never actually filmed? This essay will address the meaning of these changes in the filmmaking process from the point of view of the larger cultural history of the moving image. Seen in this context, the manual construction of images in digital cinema represents a return to nineteenth century pre-cinematic practices, when images were hand-painted and hand-animated. 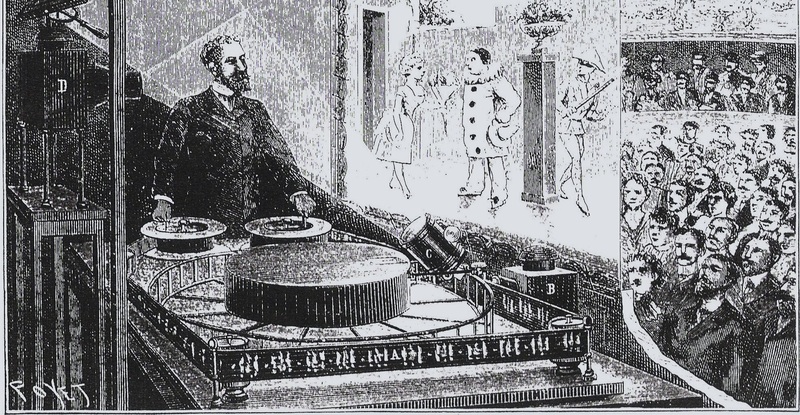 At the turn of the twentieth century, cinema was to delegate these manual techniques to animation and define itself as a recording medium. As cinema enters the digital age, these techniques are again becoming the commonplace in the filmmaking process. Consequently, cinema can no longer be clearly distinguished from animation. It is no longer an indexical media technology but, rather, a sub-genre of painting. This argument will be developed in three stages. I will first follow a historical trajectory from nineteenth century techniques for creating moving images to twentieth-century cinema and animation. Next I will arrive at a definition of digital cinema by abstracting the common features and interface metaphors of a variety of computer software and hardware which are currently replacing traditional film technology. Seen together, these features and metaphors suggest a distinct logic of a digital moving image. This logic subordinates the photographic and the cinematic to the painterly and the graphic, destroying cinema's identity as a media art. Finally, I will examine different production contexts which already use digital moving images - Hollywood films, music videos, CD-ROM games and artworks - in order to see if and how this logic has begun to manifest itself.